For the first twenty years or so of my life, I didn't much like the company of people. Crippling social anxiety during my school years, along with living in a rural part of the UK, meant I kept my circle of friends small and reassuringly familiar. Many people described me as being aloof when they tried to get to know me, but it wasn't a form of snobbery that was preventing me from engaging with them, it was just my natural shyness. After a sequence of events too mundane and obscure to mention here, I ended up living and working in Utah, engaged to a beautiful girl and seriously investigating The Church of Jesus Christ of Latter-day Saints. Here was I, a skinny British kid from the shire, thrust into the most alien environment I had ever been in - a rural Utah Mormon ward. I'd only ever seen people wearing bolo ties and cowboy hats in the movies before. Now here were those people in the flesh, just less stereotypically cowboyish and more stereotypically Mormon. Being thrust into an alien Church environment somehow did more to ease my social anxiety within minutes than months of sitting with a hypnotherapist ever achieved. My mother hired him when I was ten in a desperate attempt to trick the shyness out of me ... it failed. Was it the comforting messages of the gospel, the firmer knowledge that I was a child of God or just that the situation was so out of character and absurd it caused a short circuit in my brain that killed the anxiety? It seemed as if the Spirit was whispering to me, "Don't worry, don't feel embarrassed or anxious. The guy that's speaking to you is wearing a bolo tie with a picture of Jesus in the middle of it. You're not the odd one here." So, instead of quickly making excuses and finding somewhere to be quiet, I was now at least able to hold a conversation with people. Or should I say, stand there while they talked at me. My gosh, these people didn't half like to talk. Yap, yap, yap, that's all people ever did with me. In the lessons, in the hall, during sacrament meetings. Mormons love to talk. Anyone who has ever had to sit in a High Priest Group lesson would soon realise that there is very little opportunity for silence and reflection. It's talk, talk, talk all the time. One of the largest tasks for most Church units, especially outside of Utah, is that of reactivation. Ward Councils throughout the world spend countless hours discussing those, who once part of the ward family, have for whatever reason decided to no longer participate in Church activity. Too often, the only idea that is floated ultimately amounts to this: let's go visit them so we can talk at them a bunch, then we can invite them to Church so other people can talk at them some more. My social anxiety allowed me to quickly disassociate the gospel with the people that follow it. This allowed me to find my own place within it and spend more quiet time reflecting on what the gospel meant for me personally. The Church as a social structure didn't, and to a certain extent still doesn't, allow me to do that. 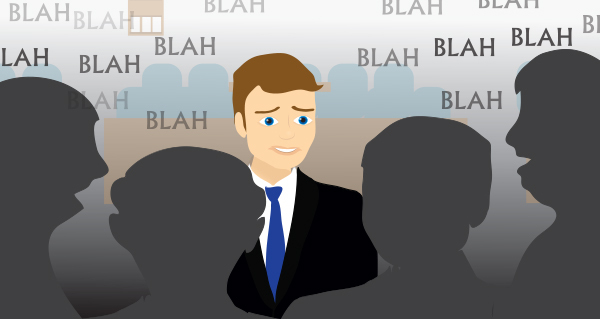 Even our supposed most worshipful meetings involve people talking at you for 80% of the time. The only place in the Church organisation that truly allows for quiet reflection is in the celestial room in the temple, which you finally enter after a 90-minute presentation of people talking at you. No one talk or lesson in Church will cause someone to become more fully converted to the gospel. That comes after a period of thought and reflection which spurs an individual to act and do something about their life, either big or small. Since modern life, especially in young families, is so busy and noisy these quiet times of reflection can be incredibly scarce. When was the last time you allowed yourself a "Sacred Grove moment" and communicated with God away from distractions? How many times do you find yourself able to take a reflective moment during our Church meetings? Maybe we just need to spend less time talking at people to allow them to spend more time thinking.